It’s been bustling here at Bates Dance Festival. Not only has the first week of classes flown by, but there have also been workshops, performances, talks, and rehearsals throughout the week. Delfos Danza Contemporanea was in residence at the festival for their performances on July 24th and 25th, joining the vibrant Professional Program students in their classes, all sharing their energy together. They had a Show and Tell lecture demonstration, to discuss their creative process, and they performed low-tech excerpts from their piece Cuando los Disfraces se Cuelgan (When the Disguises are Hung Up). 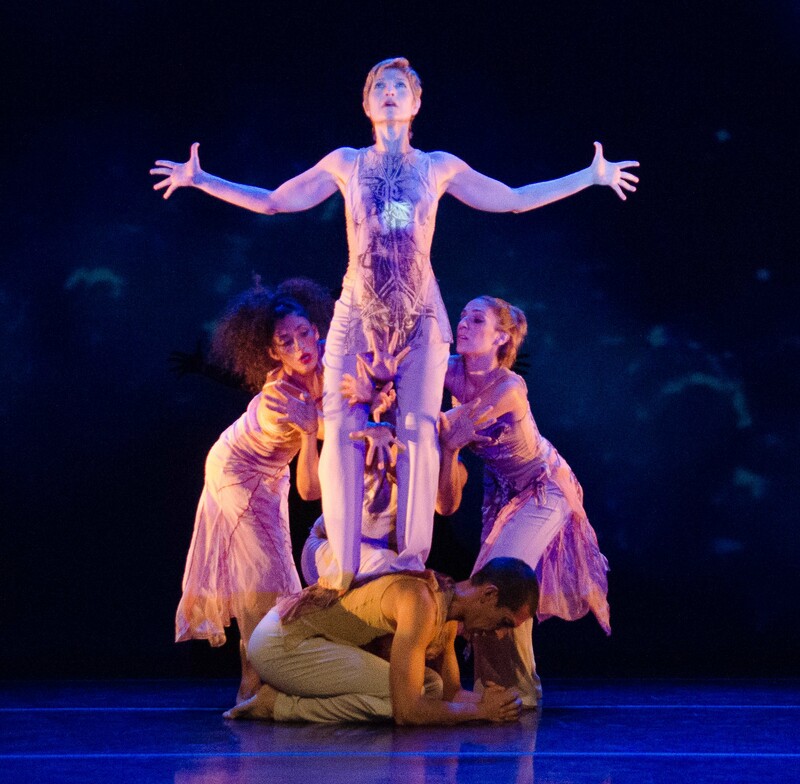 Amidst all of the hubbub, I managed to sit down with Delfos’ co-artistic director, Claudia Lavista, for a moment to speak with her about her experiences here at Bates Dance Festival. 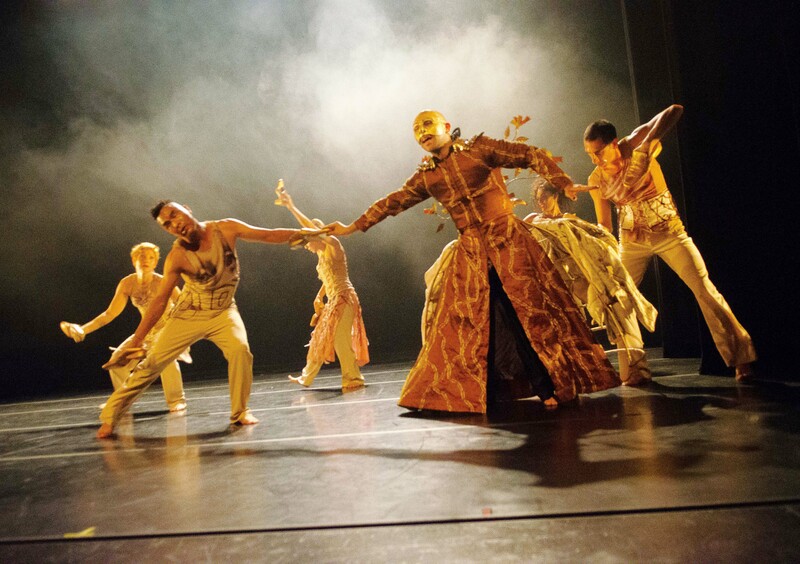 I was curious about why she and her husband, Omar Carrum, have returned to BDF year after year to teach and share their work during the Professional Training Program and why they specifically chose to perform Cuando los Disfraces se Cuelgan at the festival this year. I first asked her about what initially brought she and her husband to BDF. “In 2007, I was able to come to Bates. It was my 10 year anniversary with my husband. We were supposed to have a big celebration and Laura [Faure] suggested, Why don’t both of you come?” She thought this would be “super cool,” so we came. “For the company and the school too, this has been a very important place to find ideas, different ways to see things, to find a lot of colleagues who are very interesting.” Lavista and Carrum co-founded the Mazatlán Professional School of Dance (EPDM) when the company relocated from Mexico City to Mazatlán. Lavista’s husband, Omar Carrum, is the Academic Director of the BFA program at EPDM. Their program has become a place of intersecting ideas, movements, and questions. “We are questioning ourselves all the time,” she said during the Show and Tell. For them, this program has become an integrative way for a dedicated faculty of working artists to cultivate the next generation of colleagues. She explained how Bates offers opportunities for community building outside the festival. During the Show and Tell talk Claudia explained, “to create a piece is a way to understand the world. That’s pretty much what we are trying to do every time we create. It’s not that we want to do pretty things, it’s just that we really want to know more about the world, and I think one way to learn more about the world is to learn more about yourself. Every time you do research, you are now discovering the world, and you are discovering yourself in it, and that’s wonderful. 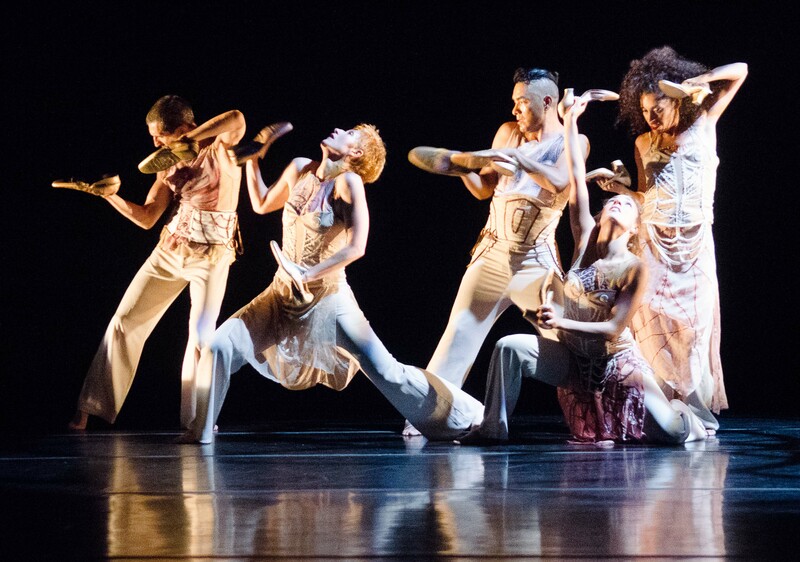 This piece helped us to learn new things.” I believe these thoughts reflect on the Festival as a whole. By supporting artists who create in this way, BDF cultivates an environment where new research and expansive dialogue can take place. When I spoke to her at lunch, I wondered why they chose this piece specifically to perform at BDF this year. I wanted to know more about how the company works in relation to their cultural heritage. During the Show and Tell, in one particular section of the piece that they shared, I was struck by the specificity of hand gestures in relation to one reactive dancer. To me their movements seemed to reflect their cultural heritage, by creating living, breathing alebrijes. Lavista explained further in the talk that they pulled inspiration from visual artists such as surrealist painter Leonora Carrington and Remedios Varo as well as magical realism author Gabriel Garcia Marquez. This conversation was enlightening on many levels. As a dancer in the US, I desire to expose myself to a more global understanding of the world of contemporary dance. Claudia is one of many of this summer’s BDF faculty who comes from abroad, have a wide breadth of experience, and are very much connected to that global conversation. Speaking with her reminded me that through dance we always have the opportunity to express and share on a universal human level while thoroughly embracing our cultural lense. Her insights, both spoken and danced with the company, exude this passionately. This post was written by Meghan Carmichael. Meghan is the BDF Social Media Intern for the 2015 summer.